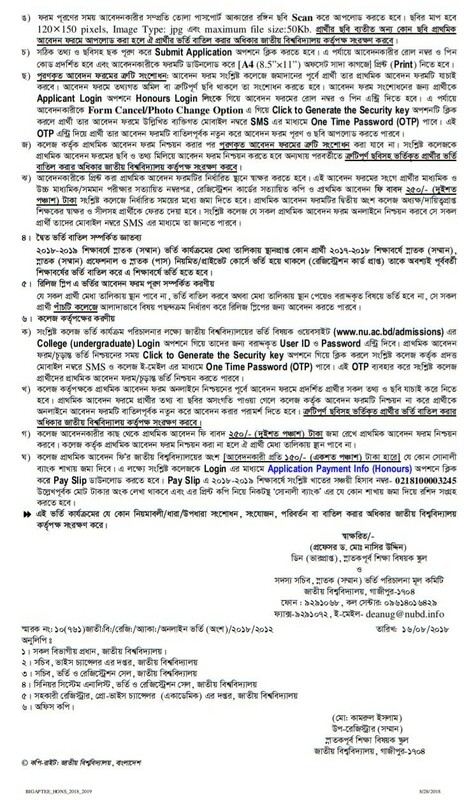 The National University of Bangladesh has published the Notice of Honours 1st year Admission 2018-19 examination Session. Online Applications start from 1st September 2018 and deadline 19 September 2018. Applications Processing By the College: 03rd September to 22 September 2018. The student can apply using “Apply Now” Button.